Beautifully illustrated by Lee Krutop, these floor puzzles feature a stunning image from our Santa is Coming to book series, specific to each state. Share the magic of Christmas with this giant 48-piece Christmas Floor Puzzle. Piece together Santa flying in his sleigh over the landmarks of Australia on Christmas Eve! 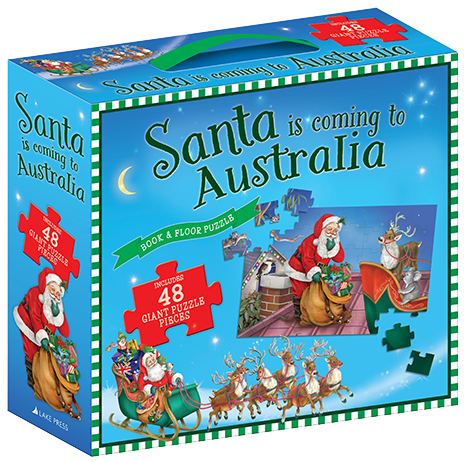 Also includes the Santa is Coming to Australia storybook. Share the magic of Christmas with this giant 48-piece Christmas Floor Puzzle. Piece together Santa flying in his sleigh over the landmarks of New South Wales on Christmas Eve! 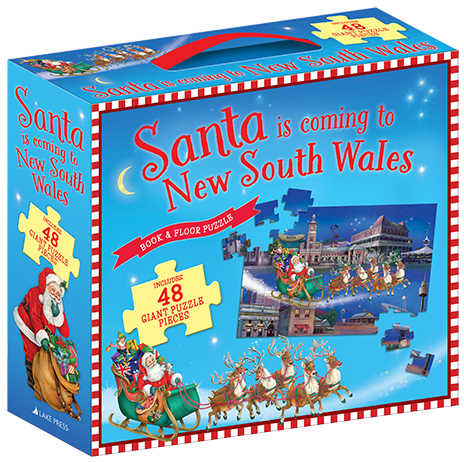 Also includes the Santa is Coming to New South Wales storybook. Share the magic of Christmas with this giant 48-piece Christmas Floor Puzzle. Piece together Santa flying in his sleigh over the landmarks of Queensland on Christmas Eve! Also includes the Santa is Coming to Queensland storybook. Share the magic of Christmas with this giant 48-piece Christmas Floor Puzzle. Piece together Santa flying in his sleigh over the landmarks of South Australia on Christmas Eve! Also includes the Santa is Coming to South Australia storybook. Share the magic of Christmas with this giant 48-piece Christmas Floor Puzzle. Piece together Santa flying in his sleigh over the landmarks of Victoria on Christmas Eve! 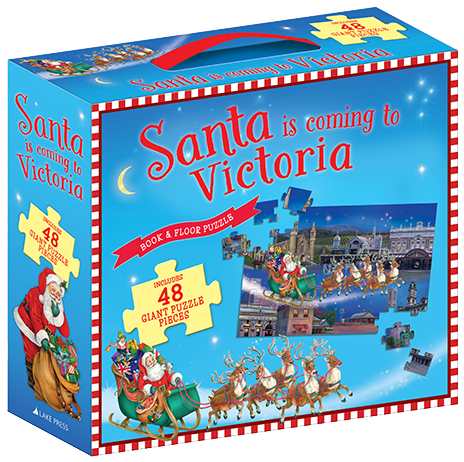 Also includes the Santa is Coming to Victoria storybook. Share the magic of Christmas with this giant 48-piece Christmas Floor Puzzle. Piece together Santa flying in his sleigh over the landmarks of Tasmania on Christmas Eve! Also includes the Santa is Coming to Tasmania storybook. Share the magic of Christmas with this giant 48-piece Christmas Floor Puzzle. Piece together Santa flying in his sleigh over the landmarks of Western Australia on Christmas Eve! 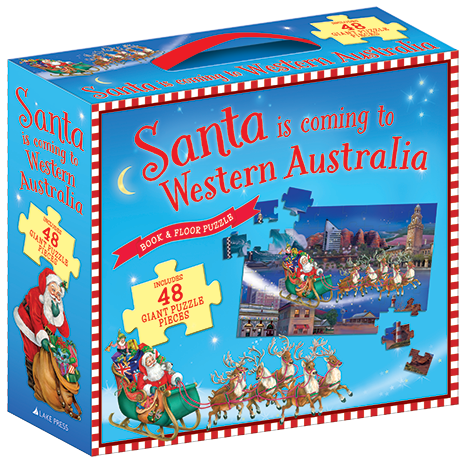 Also includes the Santa is Coming to Western Australia storybook.